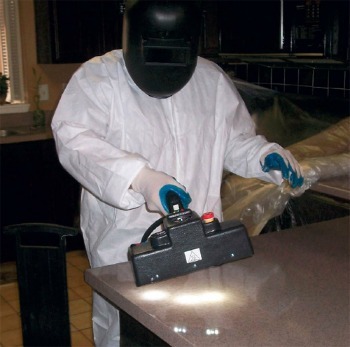 UV curing acrylic based resins are a type of concrete sealer that dries in a fraction of a second. UV (ultra-violet) curable resins resist stains, acids, alkalines, and solvents much better than regular solvent or water based sealers. 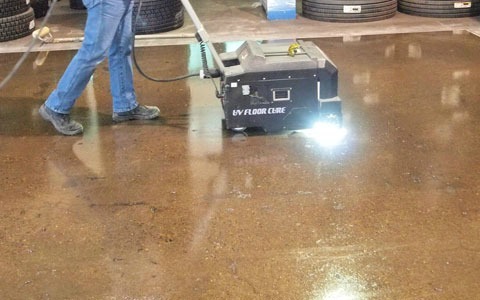 New equipment that enables "field curing" of UV curable sealers has made curing concrete floors much easier. For years decorative concrete contractors have used solvent and/or water based acrylic sealers. 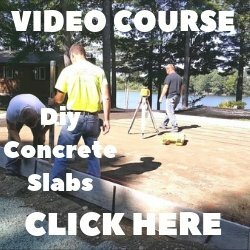 Those concrete sealers are very different from the new to the market , UV-curable coatings. UV-cure chemistry is straightforward: Photoinitiators are activated by UV exposure and the material cures immediately. They cure in a fraction of a second. Floors can be returned to service in a very short time. They resist almost all stains, acids, alkalines, and solvents. They have almost no VOC's or water added, so there is virtually no smell and no volume change after curing. They can be applied on surfaces below 0 degrees F and can resist temperatures in excess of 200 degrees F after curing. As a cross linked product, they are considered the hardest, abrasive-resistant product on the market. After the resin hardens, no UV radiation can pass through it. UV cured acrylic resins must bond to open pores on concrete surfaces. This means the surface must be opened up and all dust, dirt, and debris have to be removed. To do this, most contractors use diamond grinding equipment and start grinding with 60 grit diamond pads and finish with 90 grit pads. You have to be careful not to leave swirl marks and blemishes that will reflect through the UV-curable coating when finished. Because sunlight contains UV light, applying UV-curable formulations works best indoors. Windows and other openings must be shaded to prevent problems. If you have to apply outdoors, install at night. UV-cured acrylic can be applied by rolling, spraying or painting, taking care to apply evenly. Most applications are about 5 millimeters, but thickness can be built up in layers to as much as 30 millimeters, depending on your needs. Some UV-curable coatings can also be colored for decorative purposes and you can also add an anti-slip finish. Once the resin is applied it remains in a liquid form until UV light passes over it. Most floor applications use a UV light-wand mounted on the front of a cart being pushed by someone. As the light passes over the uncured resin, it drys in a fraction of a second, well before the wheels of the cart could touch the "wet" resin. UV-coating manufactures specify the rate of travel for their UV light resins, typically ranging from 10 to 75 feet per minute. Hand held UV light wands are available for smaller projects and hard to reach areas. We all know you should protect yourself from direct sunlight. UV lights for curing resins are even more intense than sunlight. A tyvek type suit is good because it blocks light and allows moisture to pass through it. Protect all exposed skin, hands, face, and eyes must be covered. UV-cured acrylics are good vapor retarders. 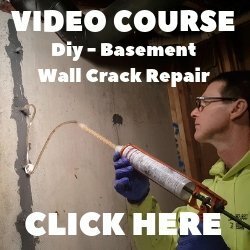 If they are installed properly, they are strong enough to resist the forces created by moisture vapor and still provide a great finished surface.